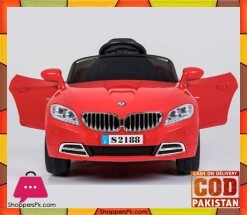 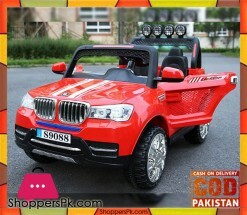 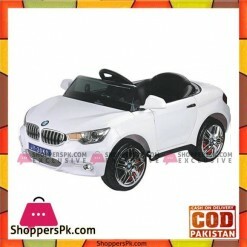 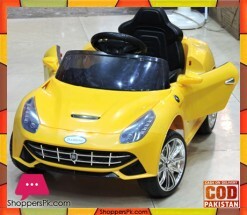 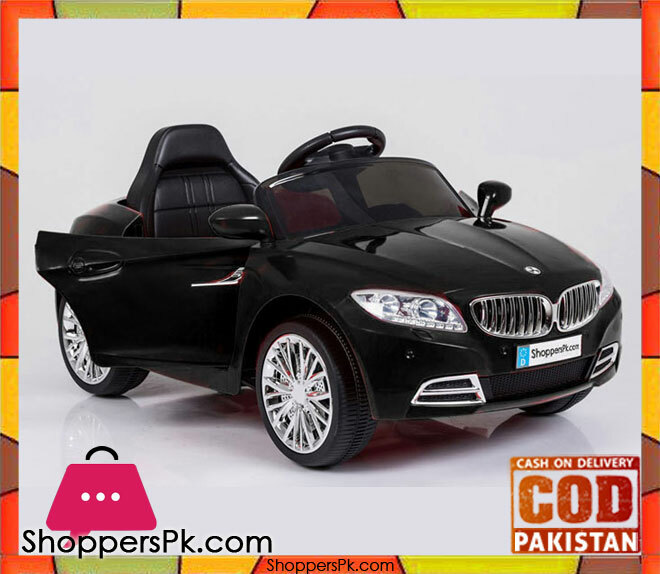 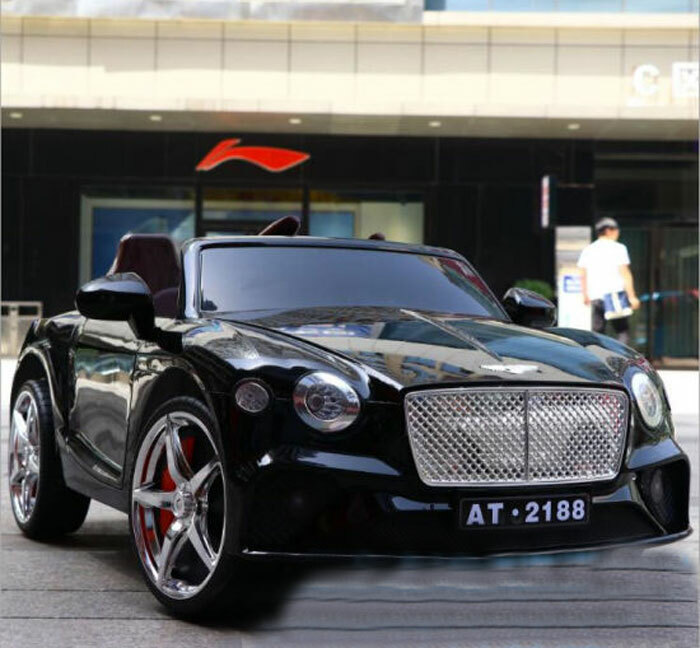 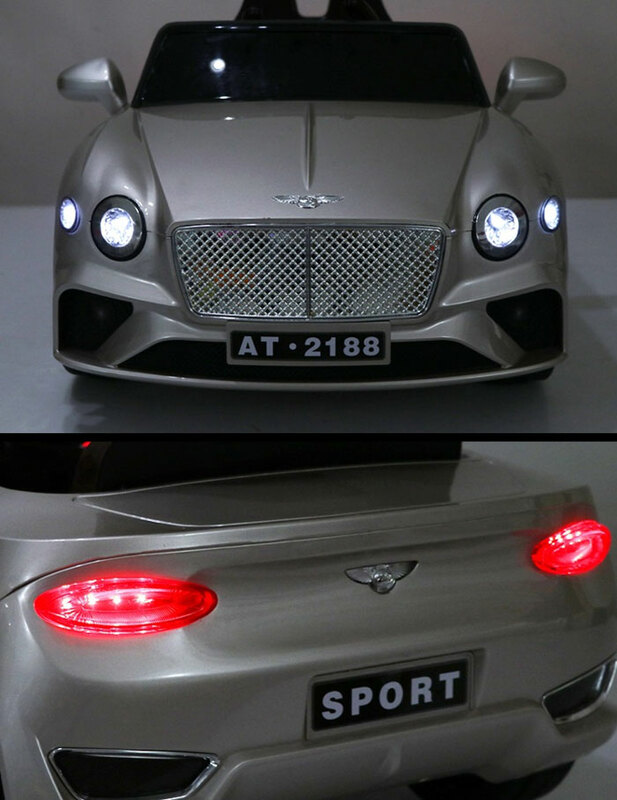 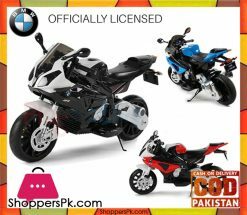 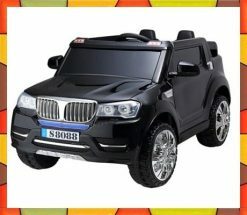 A nice car for your kids or grandchildren! 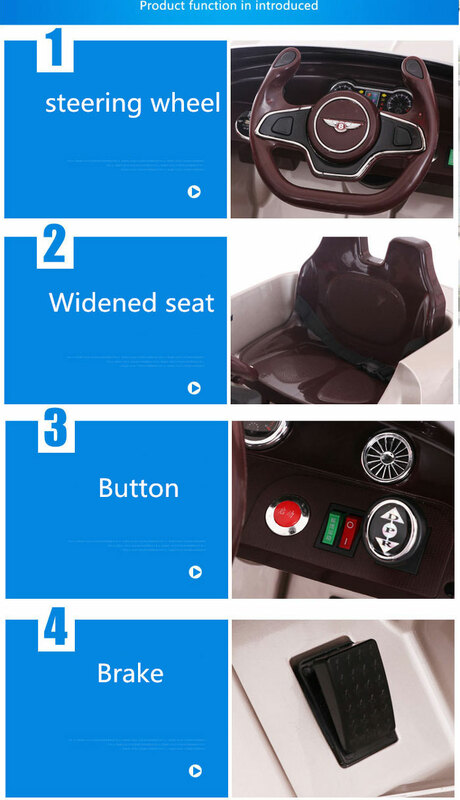 Three Speeds are available: Slow Speed, Middle Speed, High Speed; Slow Start & Slow Stop to ensure a smooth begin and stop. 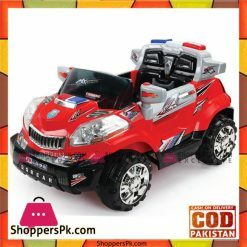 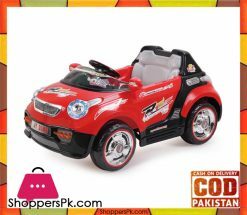 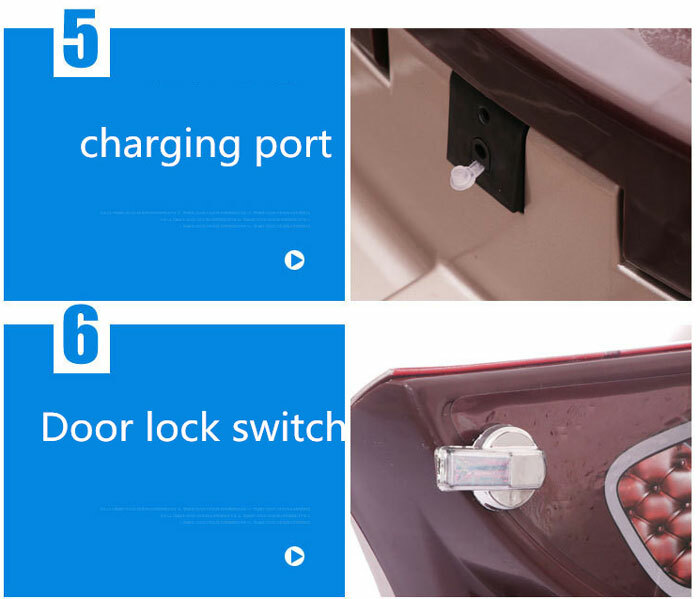 Multi-function: go forward, go backward, brake, control the steering wheel to turn left and right; Music player system: this car is equipped with music player system and can be connected with Mp3, Radio you can also adjust the volume by press the volume adjustment button; horn; LED headlights; Give your kids a surprise and happy time!